Hello, and welcome to the brand new Community Corner! The Community Chronicle has evolved into the Community Corner (new name courtesy of Pur), which will be bringing you the community's news on the first Tuesday of each month. Coming up for March, we've got first details of the Questival, some great artwork to show you, and more exciting news. Read on to find out more! First up, the two events forums have been merged into one, and now include the JMod in-game events thread. All future Jagex or RuneScape forum competitions will be listed there too. Head over to find an event to join in, or list your own event if you'd like people to enjoy RuneScape with. To start us off, Calm Enigma has posted his next Clan Wars event, scheduled for Saturday 21st March and due to be streamed on their Twitch channel! It's a large-scale members' event using the purple portal in the Gamer's Grotto, open to all players, regardless of whether you belong to a clan or not. The purple portal enables fights between Friends Chats, so the event participants will have to join one of the host chat channels. Once the teams have been finalised, one leader challenges the other and the two sides duke it out in the Clan Wars arena. Find out full details in the AWL MegaWar thread. In the General forum, we're finding out the players' top 10 quests, and for that we need your help. Vote for your favourite three in our survey, with results to come in the next couple of weeks! The A-Maze-Ing Challenge on Thursday 5th March, which is looking like a clan camp puzzle. A community live stream on Monday 9th, starting at the exiled Kalphite Hive. A Skill and Chill with Mod Lee at 01:00 UTC (game time), on Wednesday 11th March. A Nex Mass with Mod Lee, at 01:30 game time, Saturday 14th March. Be sure to join us – we'll miss you otherwise! 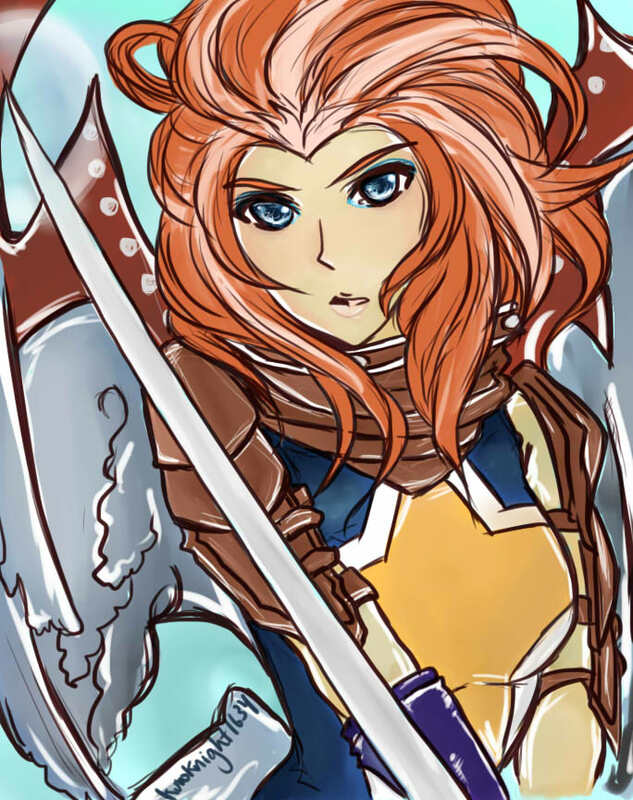 We've had a gorgeous drawing of Commander Zilyana in from J e ss i c a – just look at those eyes! 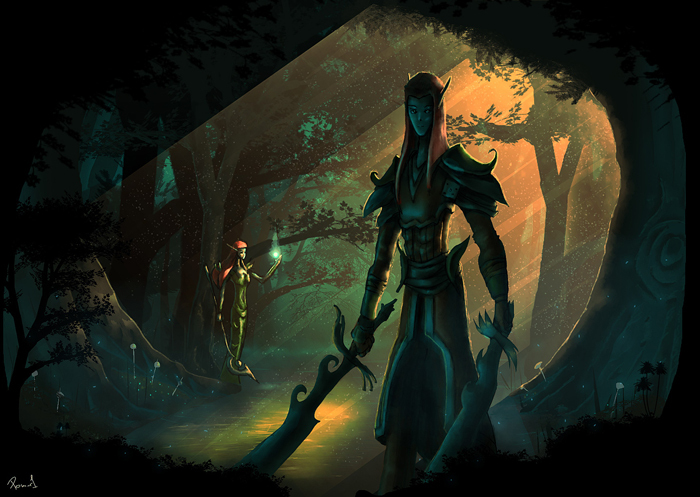 For Valentine's day, Aadizooke created this wonderful story of Morvran – we thought it was a good'un! Look out for further details of the Players' Gallery – coming soon. For now, feast your eyes on the winner of the 48th gallery: We, of the Tarddiad, by Pomar1. GameBlast was a massive success and we really had a lot of fun – the #GetMeToJagex competition brought our very own Hums over for the 24 hours! #GameBlast was trending at number 7 on Twitter within the UK, and we raised a massive £50,000 for the SpecialEffect charity. Thank you to everyone who donated and took part – you've made a massive difference! Visit our Vine channel for more GameBlast - plus other interesting clips of what JMods get up to at Jagex HQ! That's right – in honour of the 200th Quest gracing Gielinor this month, the Community Team are holding a Questival! Starting on the 16th March, we'll be running competitions, Q&As, AMAAs, and videos aplenty, all in celebration of the massive journey RuneScape quests have taken so far. Make sure you keep up to date with our social channels, and on the forums to take part in all the activities coming your way! Want to see your artwork, videos or events in next month's Community Corner? Let us know by sending your submission to community@jagex.com with the title "Community Corner", and keep an eye out for the April edition! Fascinating read, looking forward to more of these in the future. Awesome, looking forward to the Quest*val. That Zily artwork looks pretty sweet. Jesus Christ, Otaku for life. That pie, though. Also, nice changes to the forums! Very nice. Artwork looks cool. Oh gosh, that Mor*ran picture. I see what they did there! Also, I wanted to say I remember a long time ago we had a ''questing weekend,'' where players and PMods all met in a Friends Chat to help each other out with quests. I think that would be a nice event to be held again sometime in the future.